In anticipation for the Italian Village festival happening this weekend (June 19-21, 2015) along Windsor’s Via Italia, Chef Pat Lizzi of Mezzo Ristorante & Lounge showed us how to make a pasta dish that’s very Italiano: Fettuccine Nero. 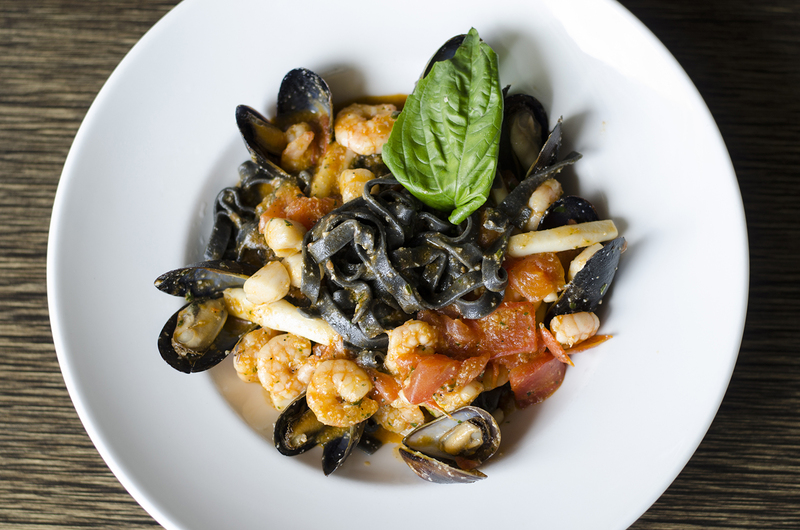 Italians love their pastas made with squid ink. The fettuccine noodles in this dish are actually made with squid ink, making them dark, almost black in colour. 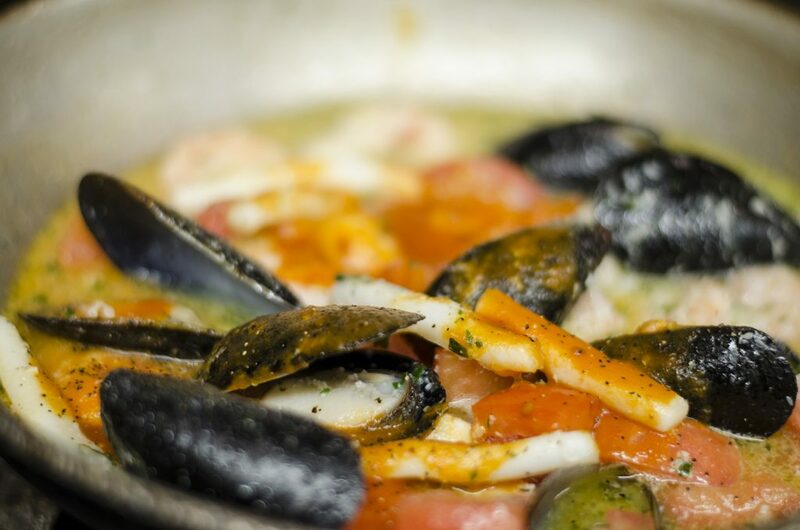 Chef Pat combined them with shrimp, scallops, mussels and calamari in a fresh tomato and white wine sauce and voila! You have Mezzo’s Fettuccine Nero. Cooking up the seafood for the Fettuccine Nero. sauté mussels with half of the olive oil. add shrimp, calamari, and scallops. add remainder of olive oil cook until shrimp are slightly pink. add garlic and white wine. cook for 2 minutes add fresh Roma tomatoes and tomato sauce. salt pepper to taste. cook fresh squid ink noodles in 4 cups of water and a tea spoon of salt . cook for 4 minutes.